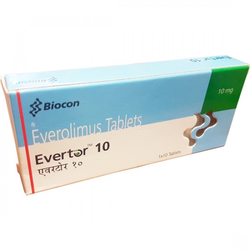 Providing you the best range of evertor everolimus tablets, naltrexone tablet, gardasil vaccine and faslodex 250mg/5ml injection with effective & timely delivery. EVERTOR is indicated for the treatment of patients with advanced renal cell carcinoma (RCC) after failure of treatment with Sunitinib or Sorafenib. Indicated for use in postmenopausal women with HER2-negative, hormone-receptor–positive advanced breast cancer patients. We are providing our esteemed clients with an excellent quality of Naltrexone Tablet. For processing this naltrexone tablet we utilize the best grade ingredients and latest technology in accordance with the set medical industry standards. We promise our customers that our offered naltrexone tablet is well checked on quality parameters. 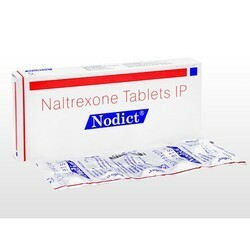 The offered naltrexone tablet is provided in a gradation of packaging options for safe transit. Along with that, our offered naltrexone tablet is highly demanded for their quick result. GARDASIL PF-syringe: human papillomavirus vaccine type6 L1protien 20 mcg, human papillomavirus vaccine type11 L1protien 40 mcg, human papillomavirus vaccine type16 L1protien 40 mcg, human papillomavirus vaccine type18 L1protien 20 mcg/0.5 mL. 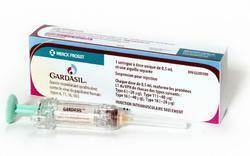 Gardasil is a vaccine that prevents cervical cancer and genital warts caused by the human papillomavirus (HPV). The vaccine has been approved for both young women and young men between the ages of 9 and 26. Gardasil is typically administered as a series of three shots over a span of six months. It is only used as a preventative method and will not treat active genital warts or cancers caused by HPV. This vaccine prevents specific types of HPV infections by supporting the immune system. This is accomplished as the immune system produces antibodies that ward off infections caused by HPV. Faslodex is used to treat a certain type of hormone-related breast cancer in postmenopausal women, when the cancer has spread to other parts of the body after treatment with anti-estrogen medication. 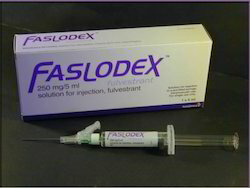 Faslodex is also used together with a medicine called palbociclib, to treat certain hormone-related breast cancer that has progressed or spread after treatment with hormonal therapy.